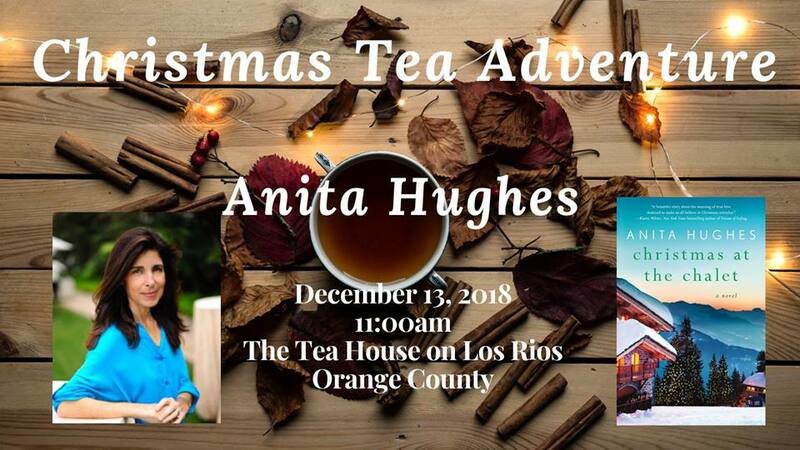 What better way to celebrate the holidays than with a special Christmas Tea Adventure with critically acclaimed author Anita Hughes. Join us in Orange County as we celebrate Anita’s latest novel, Christmas at the Chalet, an essential for keeping cozy and warm this holiday season. . While enjoying a decadent tea service at the charming Tea House on Los Rios, Anita will discuss this heartfelt love story set in the glamorous Swiss Alps, where she once again pulls at reader’s heartstrings, entangling them in a world of fashion where two heroines must confront not only their pasts, but also themselves. Anita Hughes has skillfully crafted a series of novels that combine the adventure of dazzling locations, swoon-worthy romance, and the magic and charm of Christmas time that have been featured in Cosmopolitan, Instyle, Martha Stewart Weddings, PopSugar, and many more, alongside the biggest names in women’s fiction. 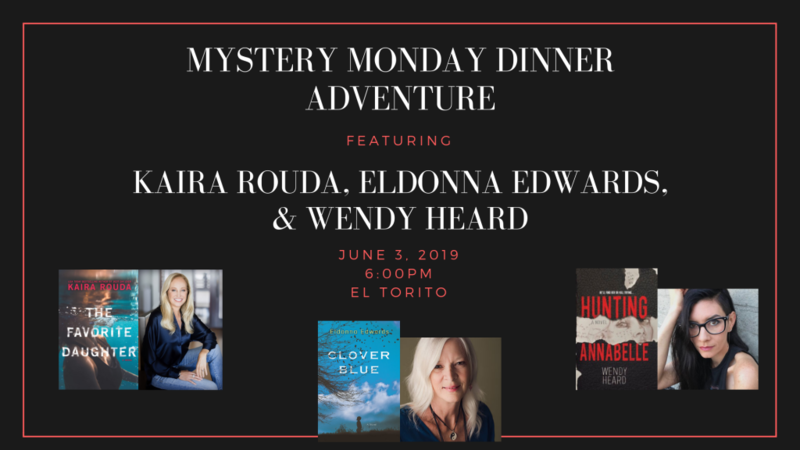 Your Adventure includes tea service, freshly baked currant scones with raspberry preserves and clotted cream, four assorted finger sandwiches, fresh seasonal fruit, tax, gratuity, author presentation, Q&A, book signing, and the opportunity to meet the author up-close and personal in a cozy and intimate setting. And don’t miss out on our special holiday gift to you dear reader. If you purchase a copy of Christmas at the Chalet online with your event ticket, it’s yours for only $10. 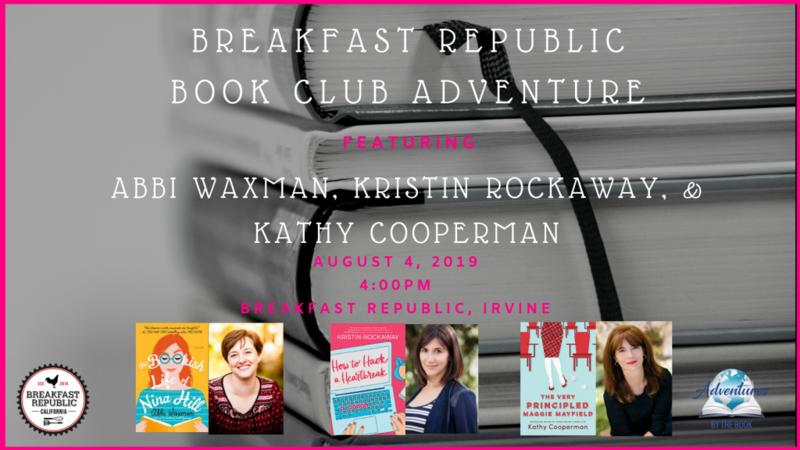 Special thanks to Jennifer at Wellreadtraveler, renowned OC book blogger who is passionate about all things Books & Travel, Coffee & Dessert, and has been instrumental in helping us bring Adventures by the Book to the OC. Anita Hughes was born in Sydney, Australia and had a charmed childhood that included petting koala bears, riding the waves on Bondi Beach, and putting an occasional shrimp on the barbie. Her writing career began at the age of eight, when she won a national writing contest in The Australian newspaper, and was named “One of Australia’s Next Best Writers.” (She still has the newspaper clipping). 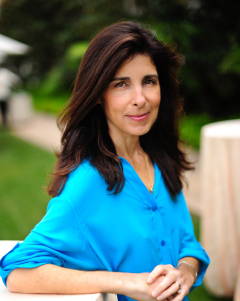 She is the author of Monarch Beach, Market Street, Lake Como, French Coast, Rome in Love, Island in the Sea, Santorini Sunsets, Christmas in Paris, White Sand, Blue Sea, and Emerald Coast. She attended UC Berkeley’s Masters in Creative Writing Program, and lives in Dana Point, California, where she is at work on her next novel. Christmas at the Chalet is a delicious love story about a bridal designer showing her new collection in the Alps during the magical week of Christmas where hijinx of the heart ensue. It’s the day after Christmas, and Felicity Grant is at a gorgeous ski chalet in St. Moritz for the biggest fashion show of her career. Felicity is a rising star on the bridal design scene, and this is her best collection yet. But when her boyfriend gives her a spa day instead of a diamond ring for Christmas, she has to face the possibility that she may never walk down the aisle in one of her own stunning designs. And then there’s Nell, the top model headlining Felicity’s show. Nell is planning her dream wedding to her wonderful fiance with one catch: her divorced parents can’t stand each other and threaten to no-show if the other is there. Add to that Felicity’s race against the clock to create a special gown for a prestigious bridal salon, and what both girls need is a Christmas miracle. What better place to find one than in the Swiss Alps with its dark forests and sparkling vistas? But for Felicity it’s hard to recognize a miracle even when it’s right in front of her, and for Nell, one miracle might not be enough to fix the past. Can dreams really come true or is that the stuff of Swiss fairytales? Christmas at the Chalet is full of romance, gorgeous gowns, and the stunning scenery of the Swiss Alps. It’s about love and forgiveness, and creating one’s own miracles during the most festive time of year.